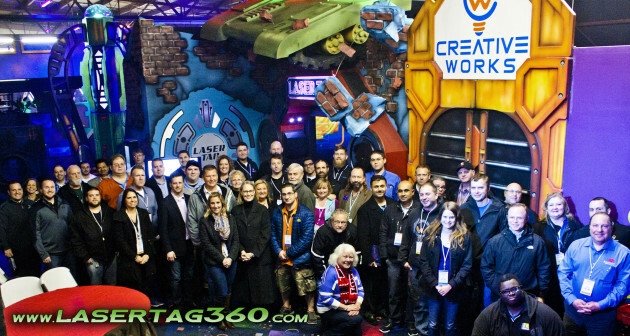 Indianapolis, IN, USA (February 17, 2016) — Creative Works, Inc. successfully completed its 14th LaserTAG360 educational event this past week. The two-day event featured presentations from many industry experts covering all aspects of opening and operating a family entertainment center with a focus on the Laser Tag attraction. Topics included selecting the right building, financing, facility design, staff training and additional revenue generating options. One of the most important aspects of LaserTAG360 is the opportunity for attendees to make personal appointments with the presenters. Both days of the educational event offered time for one-on-one discussions and hands-on product demonstrations. “This event was full of very useful information, as well as gave us the opportunity to make great contacts that I will be using to help grow my business,” exclaimed Emily P. from Florida. For more information on attending the next LaserTAG360 event on May 17-18, 2016, go to LaserTAG360.com. Creative Works and the event team are excited about the future success of attendees past, present and future.